Most Russian Tortoises are wild caught. They frequently develop shell rot during importation. This leads to scarring of the shell. 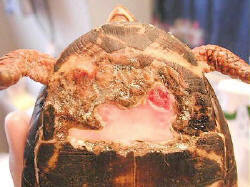 I am often asked "How do I tell if its a scar or if its active shell rot?" The best answer is if in doubt, make an appointment with a qualified veterinarian. 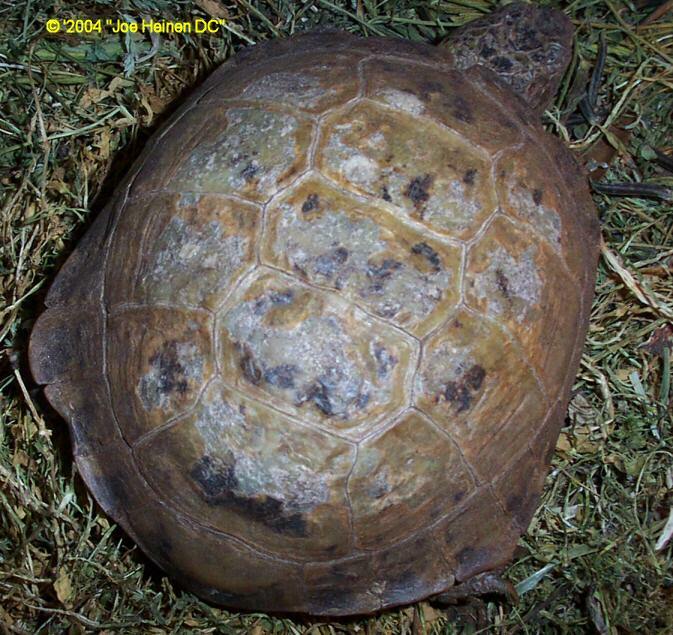 Here are some pictures to help identify normal shell deformities. Click on the photo to view it full size. 1: In the center of the picture is a white area that resembles bone. This is "dry" shell rot. This tortoise came out of hibernation with it. 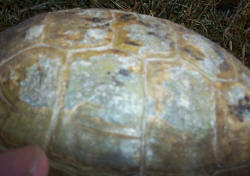 In time the white patch will peel off leaving healthy shell underneath. This process can take year or longer. 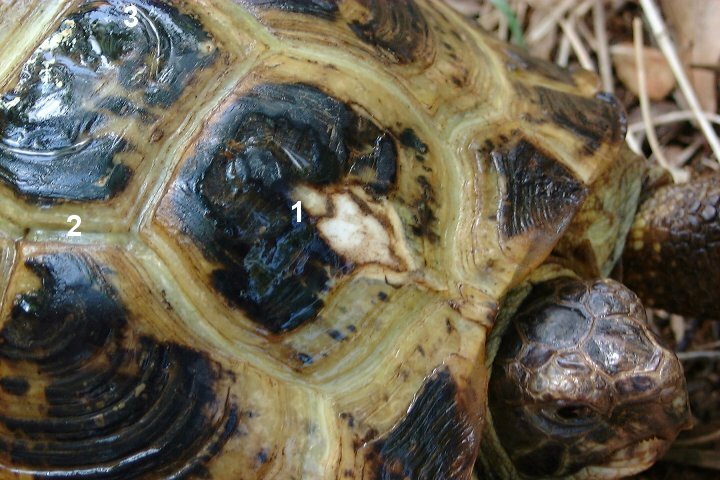 2: This creamy area between the scutes is new growth. 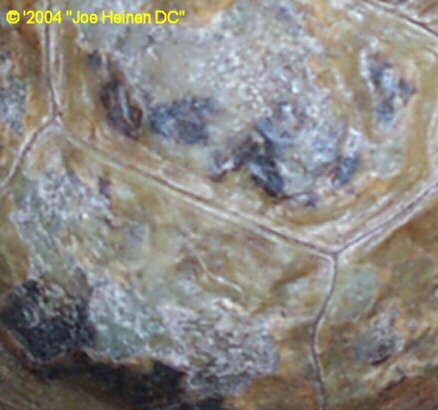 3: This area (upper left) appears "rough" and uneven. 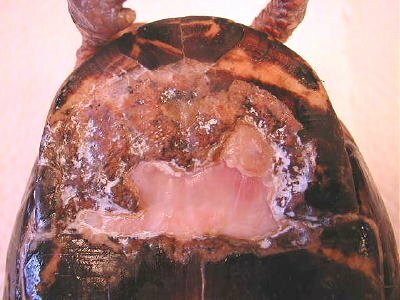 This is scarring from an old case of "wet" shell rot. The shell will always have this appearance. The shell also appears "shiny". I sprayed the shell with water to improve contrast. 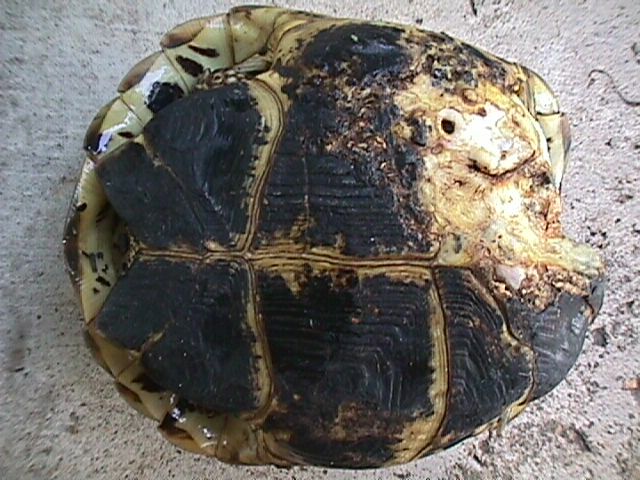 Severe plastron shell rot. White tissue is resolved.....the rest is still healing. 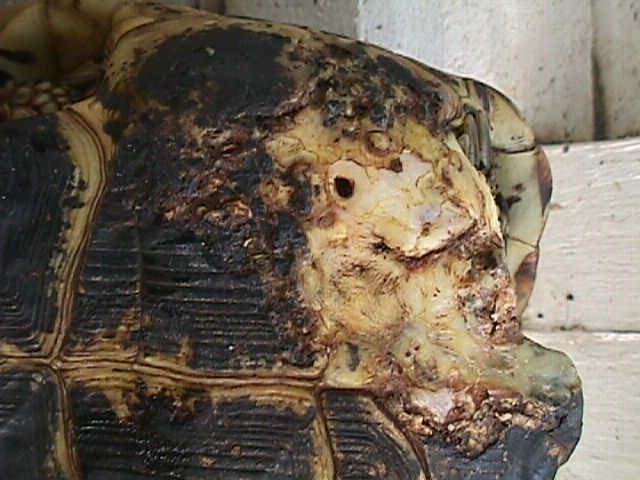 Box Turtle with severe rot. The bone has rotted away. All the dead tissue has been removed. This turtle is under the care of Pamela Hurley.